OH YAY! So excited! Can't Wait! Thanks for the updates! Love...now can't wait for January to get here! Congrats! YAY!! 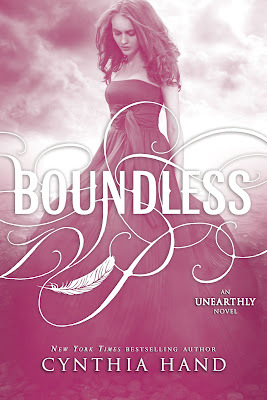 I cannot wait to read Boundless!! <3 the description!! Congrats!!! So excited for this!!! January can't come fast enough! OMG, I can't wait to read this! *o* Sounds so good!! If I thought I was excited for Boundless, now I am dying for it!!!! I can't wait!!!! Maybe a teaser to quench our thirst? Haha. Oh I can't wait, I love conclusion books! Especially looking forward to yours! Hopefully I can get it the day it comes out and read it before my little girl is born, I won't have time to read for a while after that, I'm at 40 on the 21 of Jan. Anyhow, I'm definitely happy I came across it and I'll be book-marking it and checking back often! OH MY GOSH YAYYYYY I can't wait this is the BEST series ever!!!!!!!!!!!!!!!!!!!!!!!!!!!!!!!!!!!!!!!!!!!!!!!!!!!!!!!!!!!!!!!!! SOOOOOOOOOO excited!!!!!! I'm so excieted and nervous. I'm probably more nervous than Clara. The whole Christian Tucker thing is....yea anyways. I'm nervous. i've been waiting for this!! pls don't forget google play books. i don't buy from amazon. i have been waiting for this! team Christian!! !